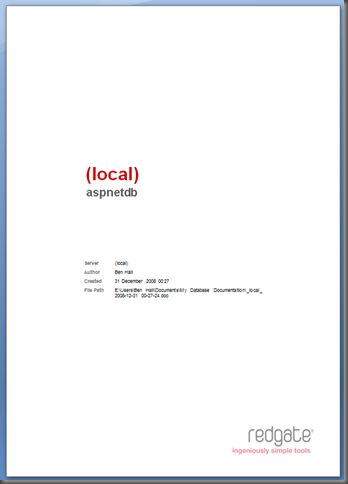 In my previous posts I discussed how you could create printable documentation from SQL Doc. 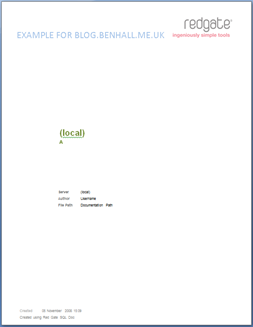 In this post, I want to discuss how you can customize the front cover of the documentation. By default, the output of the Word cover will look like this. Within the SQL Doc installation directory (C:Program FilesRed GateSQL Doc 2), there is a style directory. This style directory contains different artefacts used when generating the documentation, within the Word folder there is a file called DefaultCoverPage.doc. 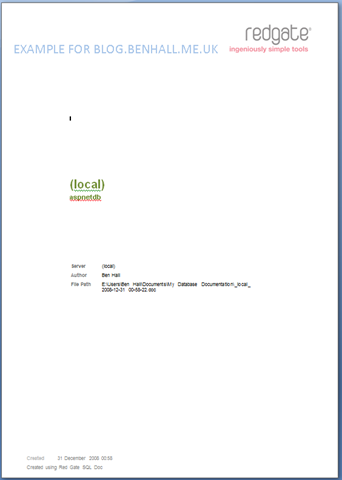 This is just a standard Word document, with placeholder fields used to insert the appropriate information for the document during generation. You can now customize the cover as you see fit such as including your own information, logo etc. For example, below I’ve moved the Red Gate logo, added an additional title, changed the size and colour of the title while moving the created date time to the footer of the page. 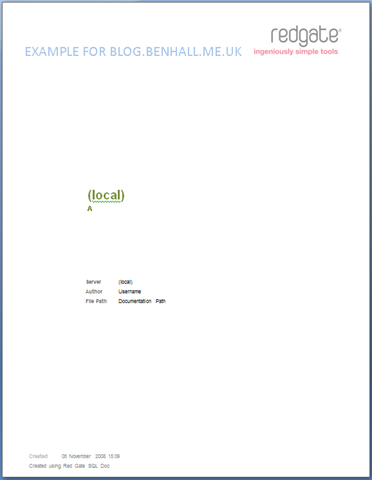 The next time a Word document is generated on that machine the new cover page will be used. A ‘word’ of warning for users on Vista, you will need to run Word as Administrator, or save the customized cover page to a different path and copy the file back as Program Files is a restricted location which requires elevated permissions to write too. I would also recommend taking a copy of the original cover in case you want to revert back. If you do accidentally change the cover page without taking a backup, delete the file DefaultCoverPage.doc and repair the installation via the control panel. 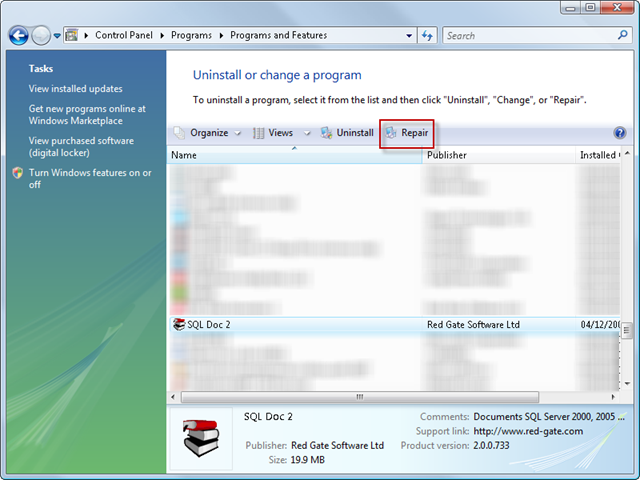 This will restore the application to the original install files. An interactive tool designed to generate the SQL Server 2005/2008 documentation.. 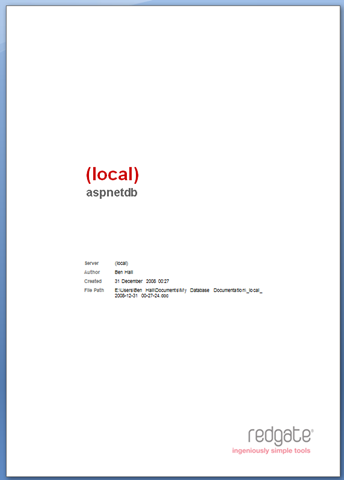 Export documentation to CHM format (Microsoft Compiled HTML Help).